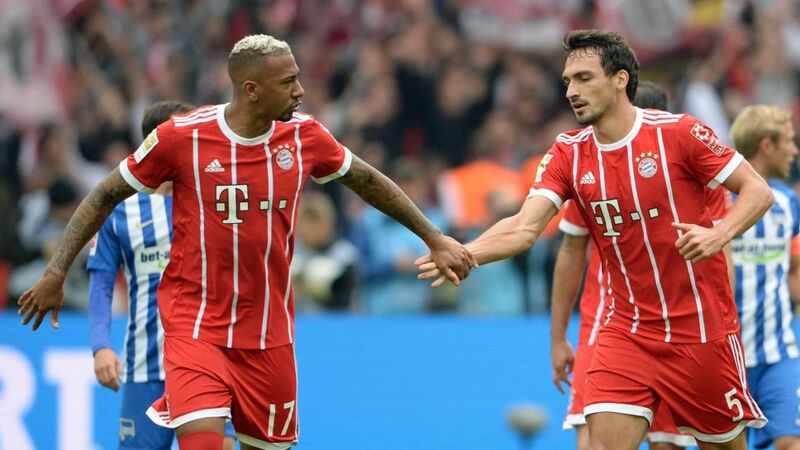 Bayern Munich and Germany defender Mats Hummels says he is happy with the competition for places at the record champions, as he, Jerome Boateng and Niklas Süle vie for two places at the heart of the defence. Hummels, 29, sat on the bench during Bayern's opening Bundesliga fixture with Hoffenheim, while it was Süle who had a watching brief in the 3-0 win at Stuttgart on Matchday 2. As Bayern prepare for a mammoth month of fixtures following the international break, with the UEFA Champions League commencing, Niko Kovac's rotation in defence is set to continue. Hummels has no qualms about resting for the odd game, though, as he says the level of competition is so high that it makes sense. "Everybody's going to sit on the bench now and again, in every part of the team," he told Germany's Sport Bild magazine. "It would be very arrogant towards the other two not to accept that because Jerome and Niki are really sensational central defenders." Hummels faces the same challenge for a place in the Germany national team, with his club colleagues also keen on being involved when they face France in their UEFA Nations League opener on Thursday, and he believes it can only be good to have "three incredibly strong" options.